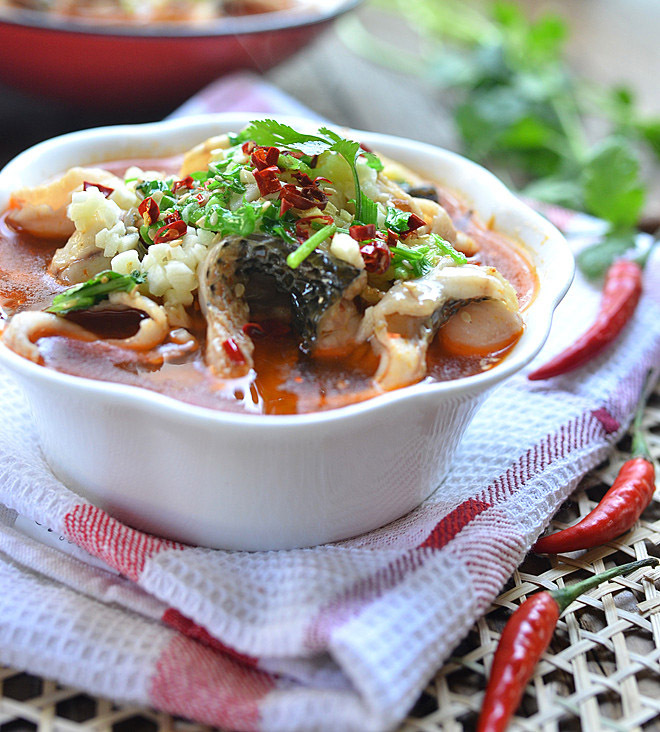 A fish soup that is delicious enough to stay with you for a lifetime- This Sichuan-style fish stew warms the heart and will definitely leave you satisfied! We will be passionate about a lot of food in this life. Maybe different foods at different moments of our lives. And maybe we will love some food for a lifetime. 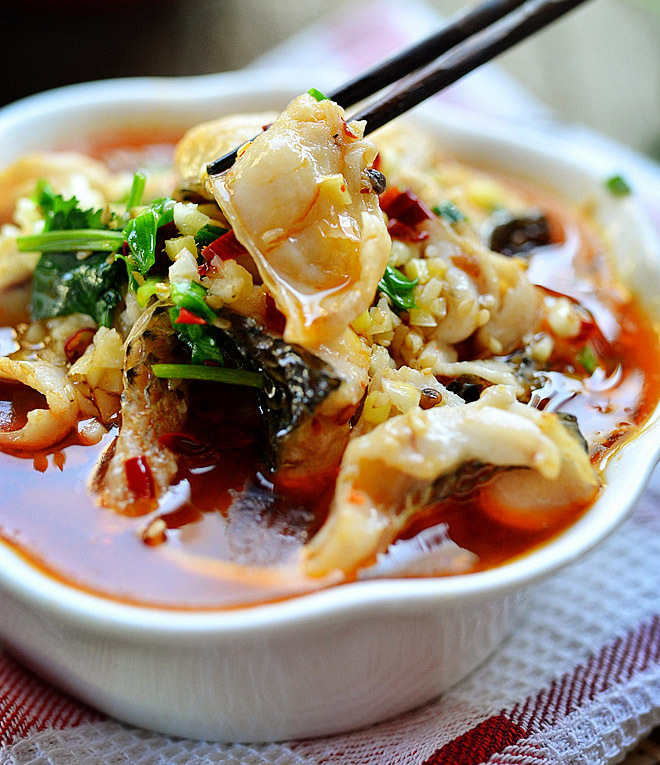 This Sichuan-style boiled fish is one of those dishes that lasts a lifetime! 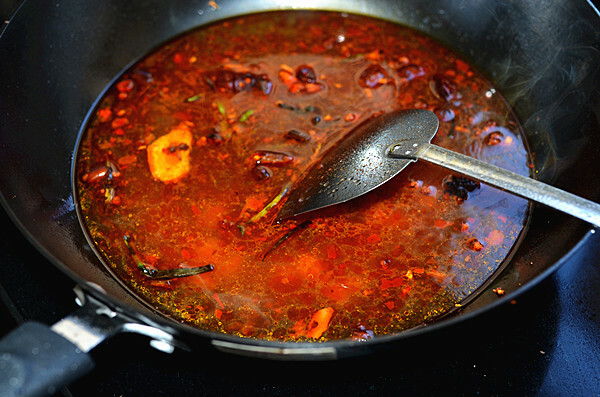 Like Red Braised Pork Belly and Potato Stir Fry Recipe, boiled fish is a classic Sichuan cuisine that has been enduring for a long time. 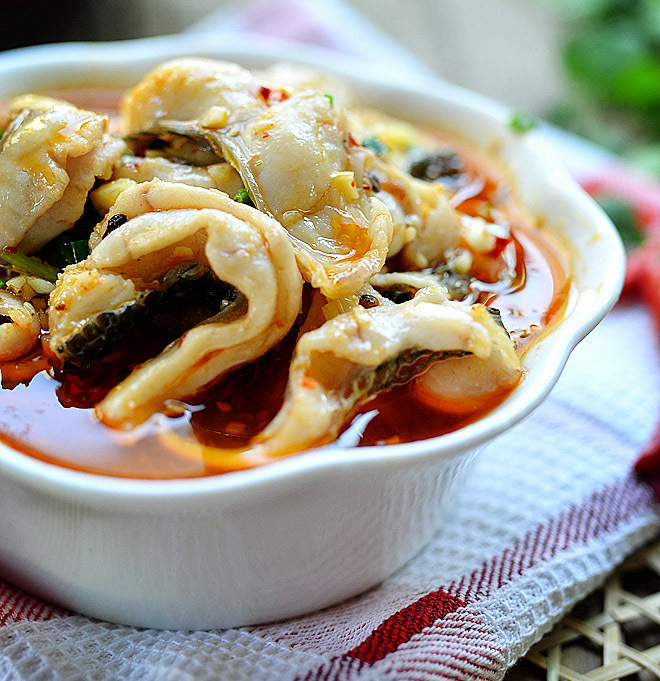 Sichuan boiled fish (we call it shui zhu yu in Chinese) also called water boiled fish is one of the sichuan dished I love most. 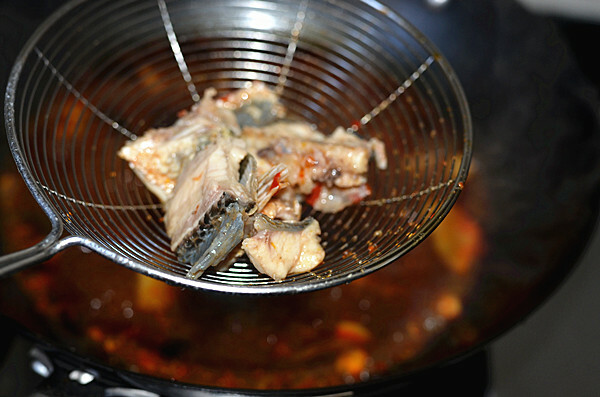 Today I am going to share the water boiled fish recipe with step by step guide. I am sure you will like it. Step 1. Clean the grass carp by descaling, cleaning out the organs, and washing. Place the knife perpendicular to the black film at the fish belly and gently scrape off the black film. After cutting off the head, the fish body is divided into two along the fish bone. Step 2. 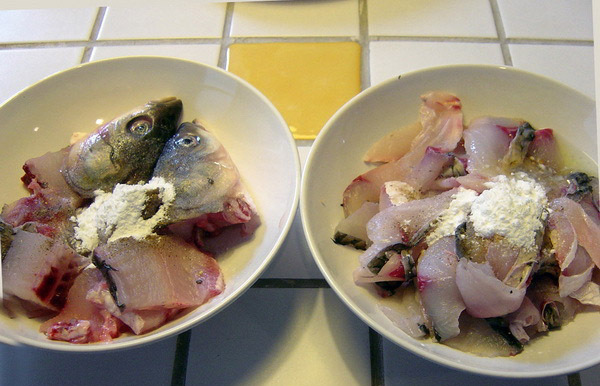 Divide the fish into two bowls: the fish fillets and the head and non-meaty parts that weren’t turned into fillets.
. Add a spoonful of flour and mix for 15 minutes. Step 4. Prepare the rest of the ingredients, and separate in half (using larger pieces in one half, and the smaller pieces in the other). The larger half are used for frying in oil, and the smaller half are used for the final mixture for added fragrance. Step 5. 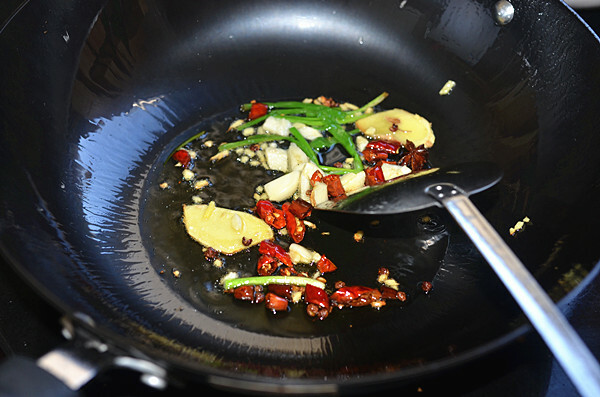 Pour a little oil in the wok, add the bean sprouts and add a little salt, stir-fry until they are cooked. Step 6. 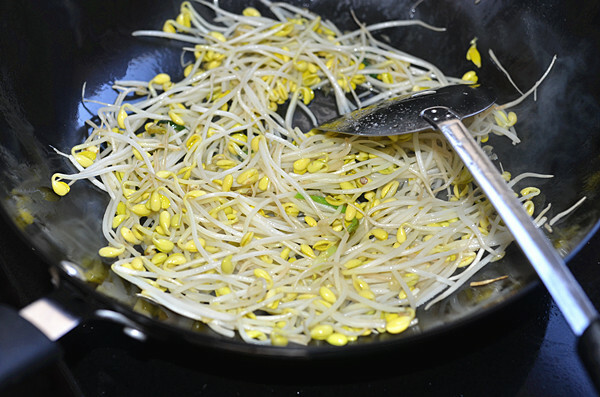 Stir-fried bean sprouts are placed on the bottom of the deep bowl that will be used to eat out of. Step 7. 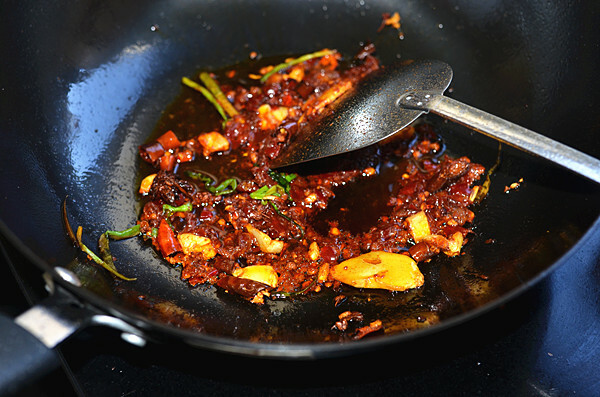 Heat the wok and some oil, add the onion (larger pieces, the same as the other ingredients) , ginger, garlic, dried red pepper, and Sichuan peppercorn. Step 8. Add the Pixian broad bean paste, stir fry until the oil turns red, add light soy sauce, fine sugar and a little salt. Step 9. Add boiled water and bring to a boil again. Step 10. 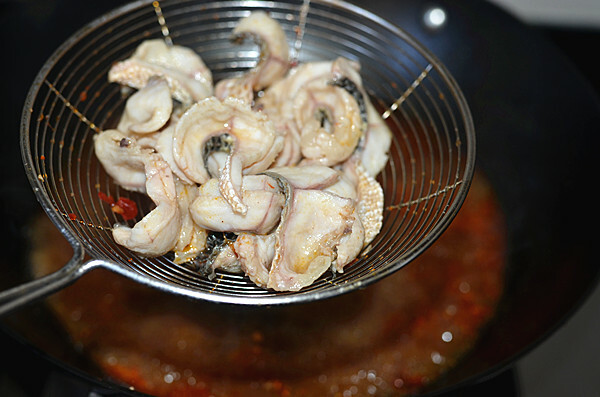 Add the first bowl with the fish head and cook for 10 minutes. Step 11. Strain out the fish heads and unusable fish, making sure to remove all the other ingredients(don’t need to use them any more). Step 12. Add the fish fillet into the pan, gently push the fish fillet around with a spoon, do not stir with chopsticks or it will break apart, cook until the fish turns white and turn off the heat. Step 13. 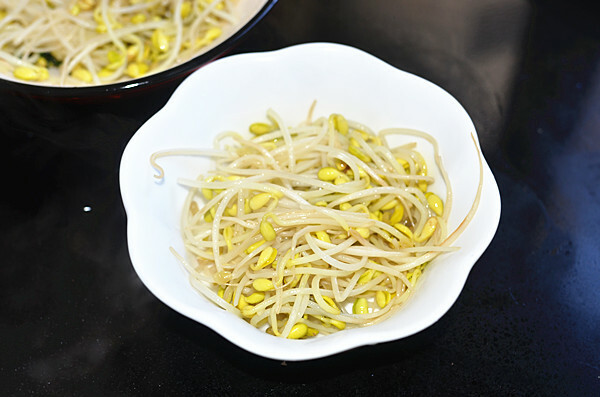 Pour the fillets and soup together into a deep bowl on top of the bean sprouts. 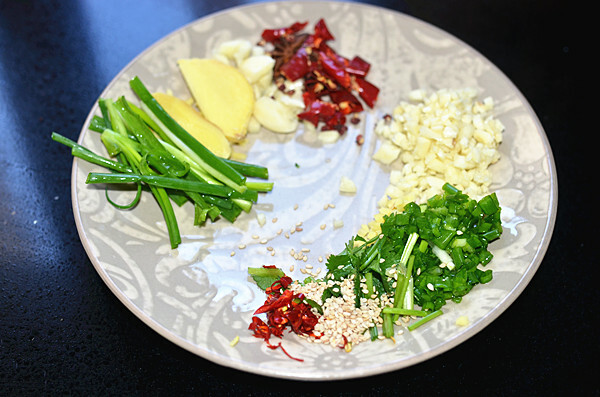 Sprinkle with green onions, garlic, coriander, white sesame and red pepper. Then add some hot oil into the bow. 1. 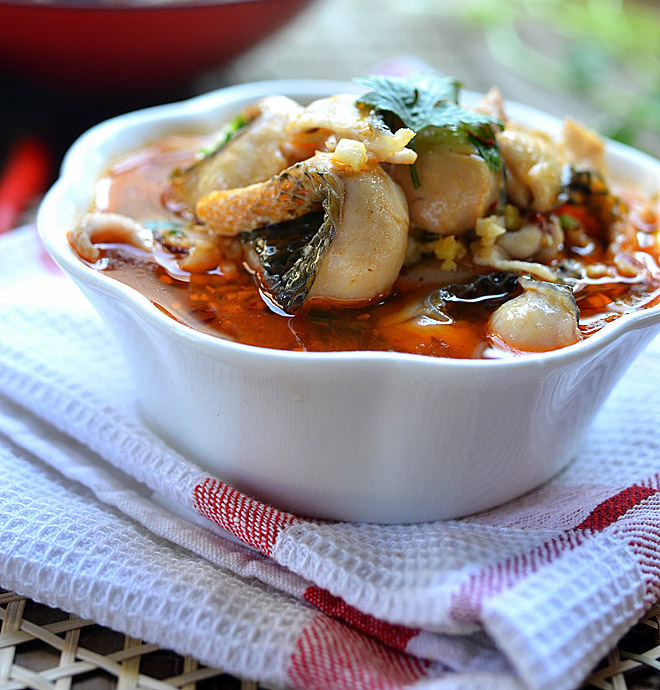 The production of shui zhu yu can use grass carp, mandarin fish, northern snakehead, etc. 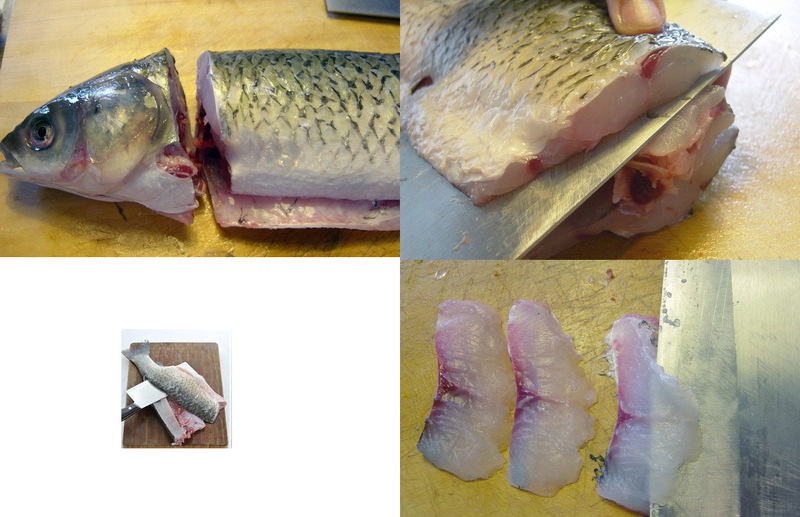 The thickness of the fish fillet can be 0.5CM, too thick and the taste is bad, too thin and it is easy to break. When cleaning and filleting the fish, be sure to use a very sharp knife and decisive cuts (it takes practice to properly clean a fish, so don’t get distraught). Fish gills, black film is the main source of fishy smell, when cleaning up the fish, it must be cleaned well, otherwise the fish is cooked, there is also an unpleasant smell. 2. 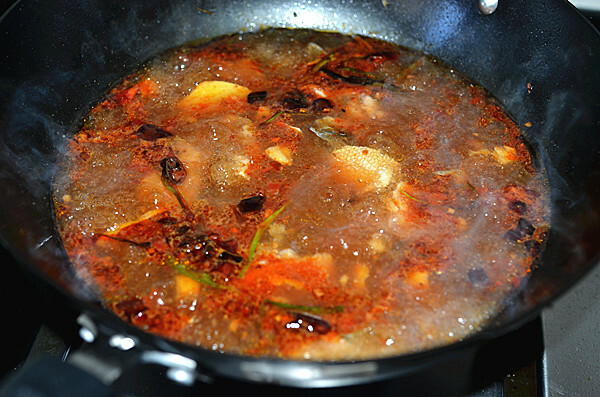 After the fish fillet is placed in the pot, gently push it with a spoon. Stirring with chopsticks will easily break the fillet. 3. 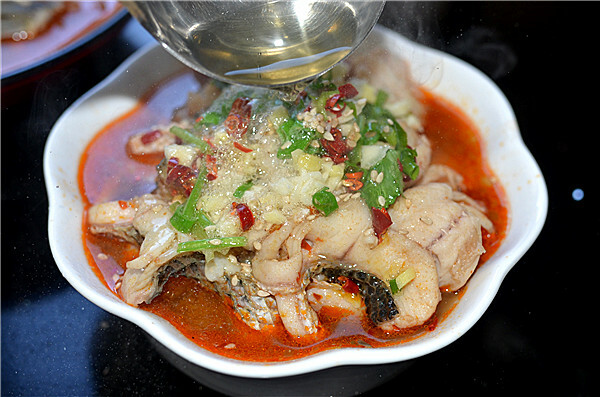 Only cook until the fish meat turns white, overcooking will affect the taste. 4. Be sure to account for all of the other salty ingredients when adding the salt.